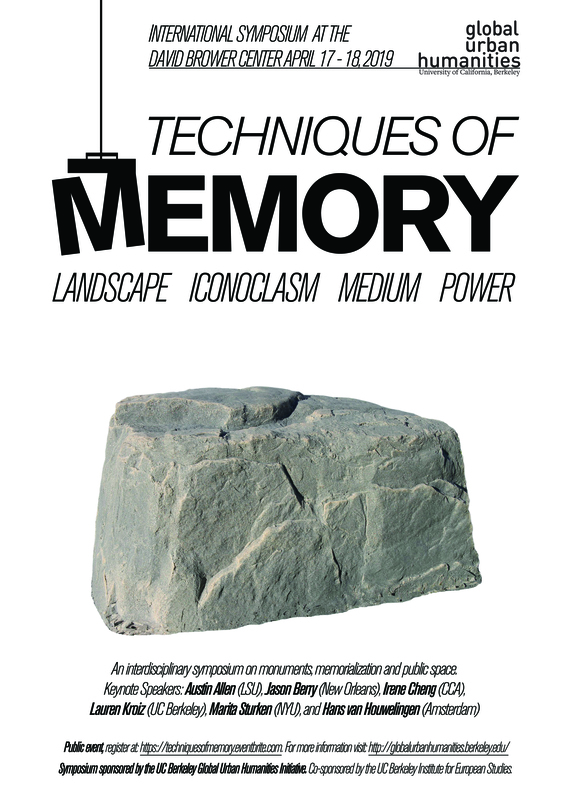 The foundational literature on memorialization, which includes classics such as Pierre Nora’s Lieux de Memoire, James Young’s The Texture of Memory, and Andreas Huyssen’s Twilight Memories, dealt with a historical phenomenon rooted in the 80s and were heightened by anxieties about the new millennium. Nearly three decades later its seems pressing to reassess the role that memory and its physical manifestations –memorials, monuments, plaques, calendars, photographs– play in our contemporary world. The 2019 Global Urban Humanities conference, Techniques of Memory, invites scholars, artists, architects, and activists to come together to analyze memorialization as a historical phenomenon, discuss the contemporary role of memorials, and examine the changing role of memory in diverse geographical areas and historical periods.